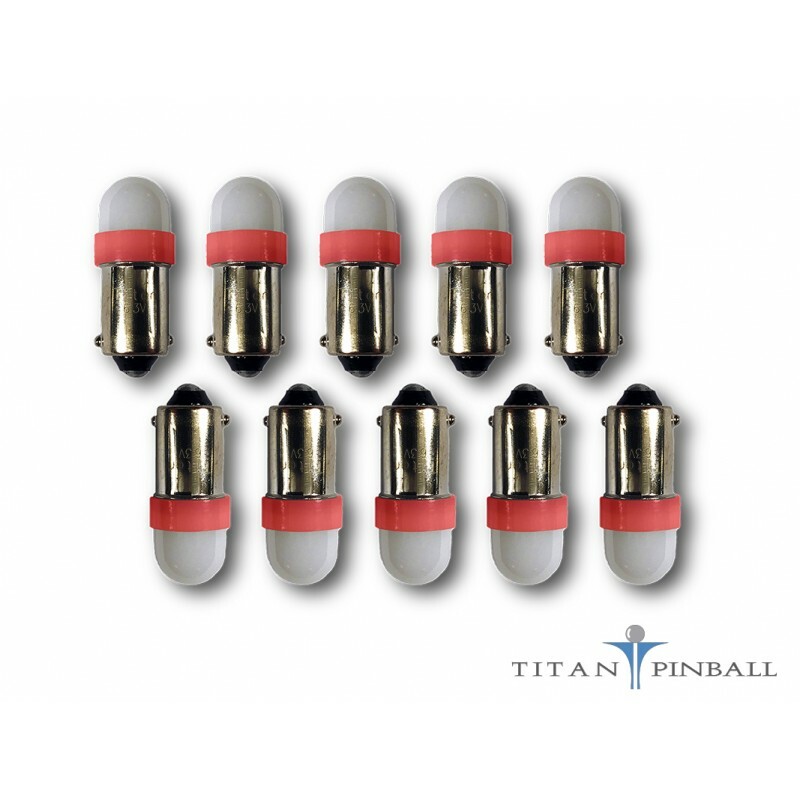 The Frosted Dome 1SMD LED are Titan Pinball's newest line of LEDs are the SMD (Surface Mount Diode) 5050 long-life LED bulbs. Excellent for use in early solid-state to current machines, these 6.3 volt, internally rectified LEDs are the most popular upgrade for pinball machines. The Frosted Dome SMD LEDs are brighter than the single-element LEDs, such as the regular frosted dome, clear dome, flat or concave. Upgrade those power hungry incandescent bulbs to LEDs! 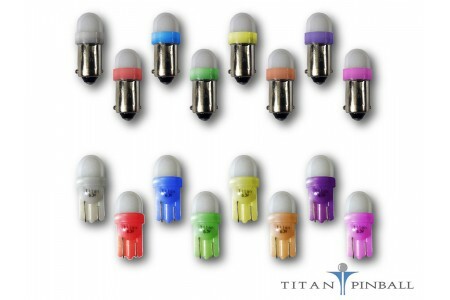 Available in Cool and Warm White, Red, Blue, Green, Amber Yellow, Orange, Pink and Light Purple. 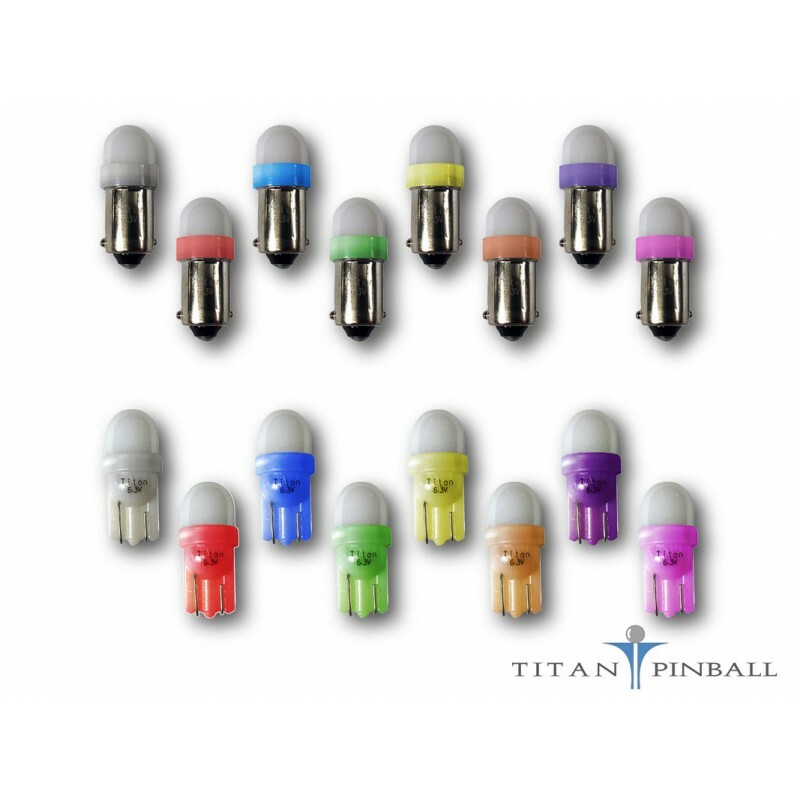 The Frosted Dome 1SMD LEDs output a "softer" and more even light than the Clear Dome 1SMD LEDs. Frosted LEDs can be used anywhere, but really excel at backbox lighting and general illumination.